If you want to test your DNA and reveal your ancestry and ethnicity with great precision, AncestryDNA and 23andMe should be on top of your list. Both companies offer cutting-edge ancestry DNA tests, but they also add certain features that make their services unique. AncestryDNA pertains to the largest genealogical conglomerate on the planet, which means you'll also be able to explore billions of genealogical sources and complement the results of your genetic testing with genealogical data. 23andMe, on the other hand, is one of the few companies that offer health-related results with ancestry examination. Our detailed 23andMe vs. AncestryDNA comparison is designed to list all the important features of both companies, pointing out their advantages and potential shortcomings. 23andMe offers ancestry DNA testing + health-related results. The basic ancestry service checks 570,000 genetic markers and covers 31 genetic populations across 150+ regions around the world. The final report will also include your potential Jewish, Native American, and Neanderthal percentages. The company database currently holds more than 2 million genetic profiles, but it doesn’t feature family tree integration. The health portion, which is optional, includes results concerning 43 carrier reports, 8 wellness factors, 8 health risks, and 22 trait reports. AncestryDNA test examines 700,000 genetic markers and covers 350 geographical regions. The results also include your potential Jewish and Native American percentages but not your Neanderthal genetic “leftovers.” AncestryDNA also allows you to generate your personal family tree and connect with potential relatives across 7 million profiles in its database. AncestryDNA doesn’t feature health results, but its parent company offers a database with more than 16 billion genealogical sources. Both companies take between 6 and 8 weeks to generate the final report. 23andMe offers anonymous testing and its website is encrypted with SSL technology. Additionally, the company will not share your sensitive information with third parties without your explicit consent. 23andMe’s pricing policy is rather simple. Its ancestry service costs 99$ and you’ll have to pay 100$ extra if you want to receive your health report as well. In our opinion, this service is definitely worth the money if you’re interested in your genetic roots and DNA health risks. AncestryDNA also charges 99$ for its ancestral exploration. The company doesn’t provide any health-related testing, but you can use additional services offered by its parent company, Ancestry.com LLC. If you’re more interested in genealogical research than health risks, AncestryDNA is a clear-cut choice here. 23andMe is probably the most popular service of its kind and it pioneered the direct-to-customer model employed by all other similar companies today. The overall experience is smooth from the moment you place your order to the time you receive your final report. 23andMe is a serious company and it leaves zero room for errors. 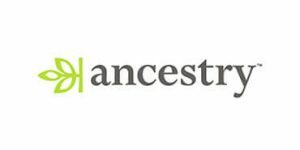 AncestryDNA belongs to the largest genealogical conglomerate in the world. As such, it has a reputation to uphold, so every service is as seamless as you can possibly imagine. Apart from genetic ancestry, you’ll also be able to delve deeper into your past with numerous brands and services offered by Ancestry.com LLC.